For dogs under 5 months of age, Puppy Primer gets you ready for all the things to expect as your puppy grows! Puppy Primer helps you guide your dog through the stages of socialization (positive experiences with new people, other dogs, places, smells and sounds) without overwhelming him. It includes an introduction to positive training techniques and the basic building blocks of obedience behaviours like looking at you when you say his name, ‘check in with me’ (a precursor to recall) and ‘settle down’ when overstimulated. You choose the time that’s convenient for you! 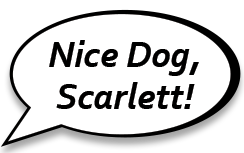 Nice Dog, Scarlett! will come to your home for a 1 hour consultation to discuss things specific to you and your puppy. We will address his changing needs as he grows, and will help you with puppy proofing your home, potty training, nipping and biting, and problem prevention. About a week later, we have our second 1 hour session, where I come to you again and we discuss how things are going. We make adjustments as needed and do some training and socialization. You then practice these things for another week. For our 3rd session, we add more skills and address any changes that are needed. Throughout this process, you also have access to 3 puppy play dates, where you and other puppies and owners meet up for play-and-learn sessions (structured playtime with rest breaks and training). Puppies learn by doing, so dog body language is very effectively learned through play with other puppies their own age. You set the dates and times of the Puppy Primer consultations, based on what works for you! 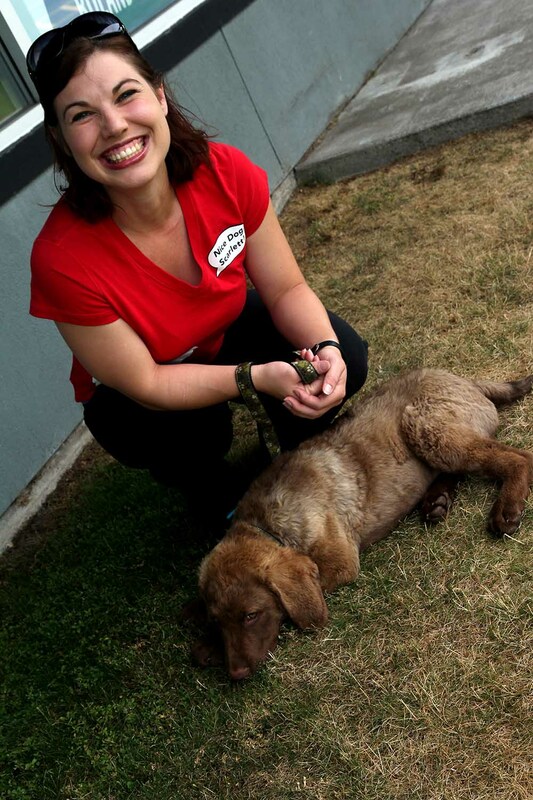 The Puppy Primer is $250 for 3 hours of private training, and access to 3 hours of puppy play sessions. I look forward to hearing from you, I can’t wait to help you and your puppy learn and grow together! South Shore of Montreal, the cities of St. Hubert, St, Julie, St. Bruno, St. Basile, Brossard, Boucherville, St. Lambert, Lemoyne, Greenfield Park, Vieux-Longueuil (Ville de Longueuil), Mont Saint-Hilaire, Chambly and the rural areas in between.